Tepid performance and a somewhat dull screen are the flies in the ointment for this inexpensive all-purpose laptop. All in all, this is a nice unit for undemanding consumers who need to buy a portable companion to supplement a desktop PC without spending a lot of money. The NR series from Sony is a mixed bag. We don’t really expect tremendous performance from a notebook with this type of price tag, but this notebook is sluggish, needs more RAM, and also has more unnecessary software than any notebook we’ve ever reviewed. All these things lead us to one conclusion: this is a notebook for the family, not enthusiasts or business travelers. It’s not for anyone who does anything but surf the Net and email. For those types of basic tasks, however, it’s more than enough and looks good while doing it. The NR160 offers a stylish exterior, but average performance. Representing Sony in the budget notebook arena, the VAIO VGN-NR160E may not be as flashy as its more expensive VAIO siblings, but it's attractive nonetheless. You don't get a lot of extras with this system, and performance is merely average, but we love the big keyboard keys and spacious hard drive. The Sony VAIO VGN-NR160E falls somewhere in the middle in terms of performance, but its cool textured styling, decent battery life, and brilliant display make this notebook a pretty good value. This particular version of the NR160 is called Wenge brown for its color scheme, named after a tropical African timber. Sony added some textures that give it a synthetic, leathery look and feel—a very effective look. 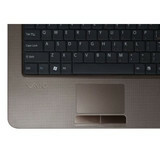 The textured surface extends all the way into the keyboard and palm rests area, which adds to the uniformity. 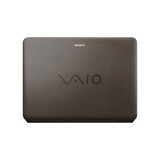 The Sony VAIO NR is the latest family of stylish, colorful, consumer friendly notebooks from Sony. 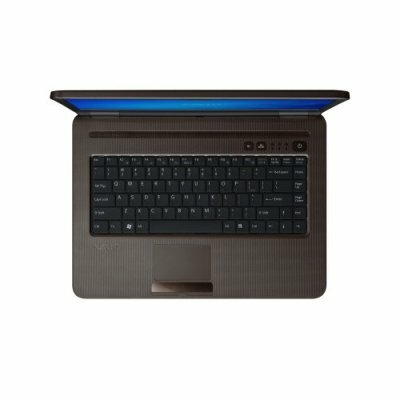 What makes the NR series genuinely unique for Sony is that the starting price is less than $800 ... making the NR the lowest-priced notebook the company has ever produced. 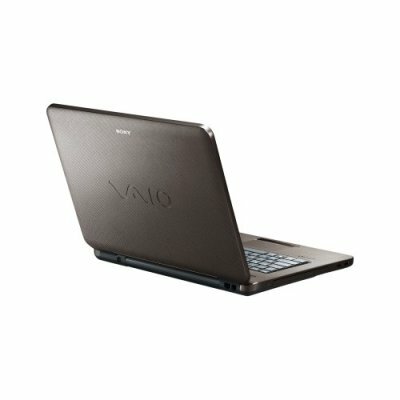 You can configure a VAIO NR online at SonyStyle.com in a variety of colors or buy a stock configuration from various retailers. The VAIO NR is available in three colors (brown, white, and silver) with a full range of Intel processors (from the 1.46GHz Intel Pentium Dual Core Processor T2310 to the 1.66GHz Intel Core 2 Duo T5450) starting at $799. 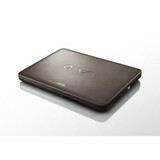 The only screen offering is the 15.4" WXGA but the notebook can take up to 4GB of RAM. Built-in wireless 802.11 a/b/g is standard. 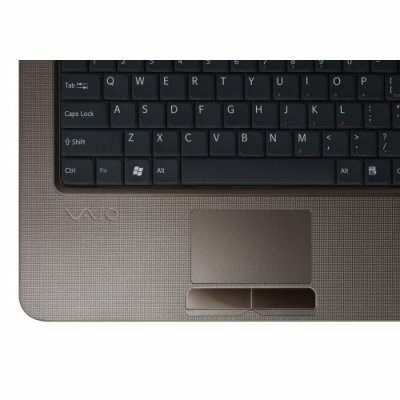 Sony's new VAIO NR160 is a very surprising entry from a company that makes primarily expensive systems. On a whole, they did a very good job with this new system. While the exterior has a bit too much of a plastic feel that isn't as nice as some other budget systems or even Sony's other models, it does offer a solid computing experience for the price. The NR160 is based around the Intel Core 2 Duo T5250 dual core mobile processor. This provides it with a good level of performance without using too much power and is definitely a step up from older Intel or AMD's current mobile processors in terms of performance. 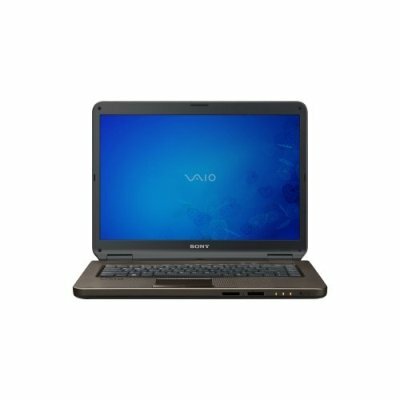 It is matched up with a full gigabyte of PC2-5300 DDR2 memory that lets it run the Vista Home Premium operating system alright, but with some slowdown with multiple applications. The storage is one of the real bright spots on the Sony VAIO NR160. Most budget notebooks still feature a fairly small 80GB hard drive. Sony makes a big splash with the one of the best notebooks you can buy for under $900. "Sony" and "budget" are two words you typically don't find in the same sentence, but the company has taken the sub-$900 plunge with its new NR Series and surprised us with very good performance. At $829, the VGN-NR160E/S targets consumers who need Core 2 Duo power on a budget. Sony still has some notable issues with crapware, but there's a lot to like about this notebook. It has everything users need for everyday productivity and light multimedia use and offers plenty of style to boot. The NR Series comes in three colors: Granite, Wenge, and Silk. The 6.2-pound chassis is nicely textured on the lid and keyboard deck and has rounded edges and clean lines. Compared with the 5.4-pound Apple MacBook Pro 15-inch (which the NR resembles, thanks to the white and silver color options), the VGN-NR160E/S seems a little bulky.